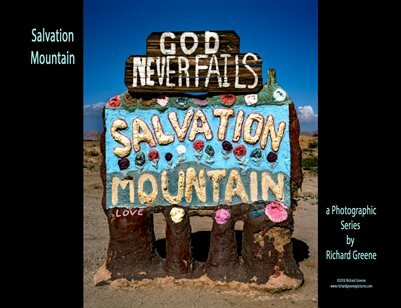 Salvation Mountain can be found just off Beal Road near California State Route 111. It sits roughly between Niland and East Jesus, a few miles from the Salton Sea. This brilliant ‘outsider’ artwork is made of adobe, straw, and thousands of gallons of lead-free paint. California Senator Barbara Boxer described it as "a unique and visionary sculpture... a national treasure... profoundly strange and beautifully accessible, and worthy of the international acclaim it receives". The site, which requires constant maintenance due to the harsh surrounding environment, is preserved by many visitors donating paint to the project, and groups of volunteers work regulary to protect and maintain this incredibly fragile artwork.